Bock is a dark, rich beer made in the spring. This vivid depiction of a drinker recalls the animated portraits by seventeenth-century Dutch masters like Frans Hals that Manet greatly admired. In 1872 Edouard Manet traveled to Holland, and the trip reinvigorated his longstanding appreciation of seventeenth-century Dutch genre painting. 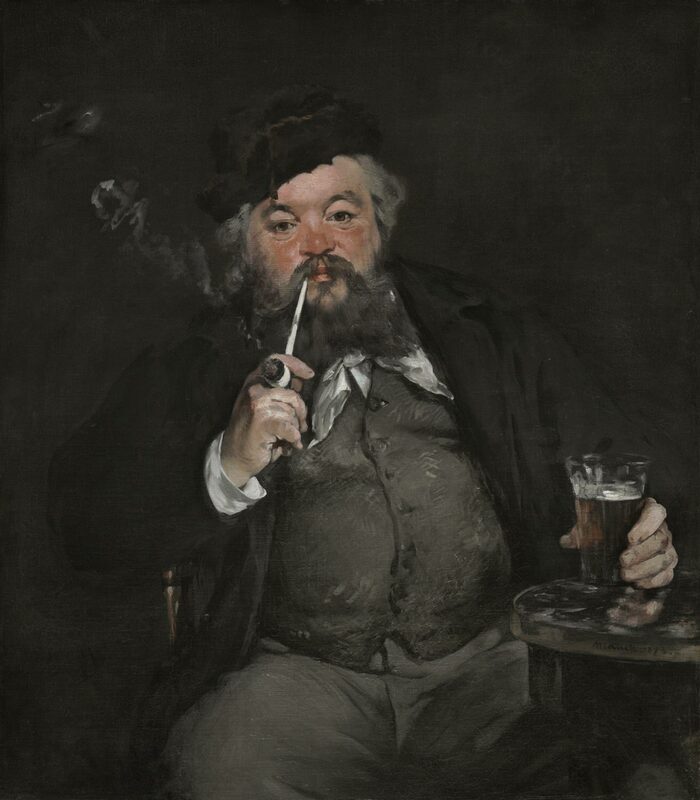 At the Paris Salon the following year he showed this lively picture of a man enjoying his bock, or springtime beer, that is directly influenced by such images. The warm tonalities and lively handling of paint particularly recall the work of Frans Hals. The painting was well received at the Salon, where the evocation of old master painting styles was much appreciated. This work also presented few of those surprising disjunctions of color to which conventional critics of Manet often reacted violently. Manet's model, who endured more than sixty sittings, was a neighbor of the artist named Bellot. Christopher Riopelle, from Philadelphia Museum of Art: Handbook of the Collections (1995), p. 194.